End of summer… A busy one, like always. 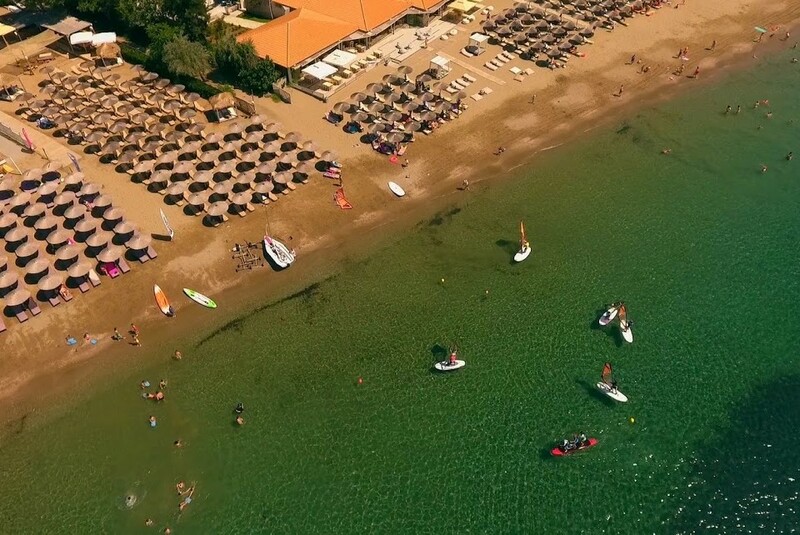 Athens is surrounded by water on 3 sides, yet people only seem to notice the sport of windsurfing between June and August. 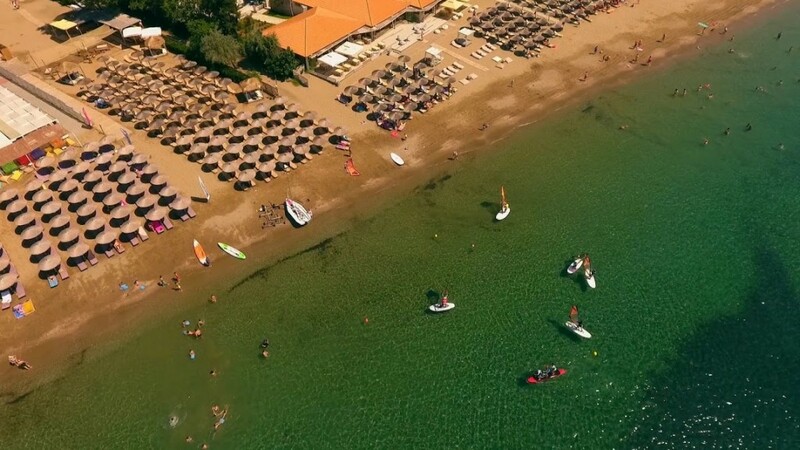 The most fantastic windsurfing sessions, however, are off – season. On uncrowded waters. This summer I coached children. Quite a few of them actually. Many of these little windsurfers let me come close to them and they opened up; we talked about their fears and what’s holding them back from succeeding in sports. How they view other children as “someone they need to compete against”, whilst they are on the water training. How they feel when the other child can already manage what they can’t do yet. We talked about their fear of falling in the water and about how scary the dark blue bottom of the sea is, during our session breaks. The most important thing we talked about is the fear of failure. 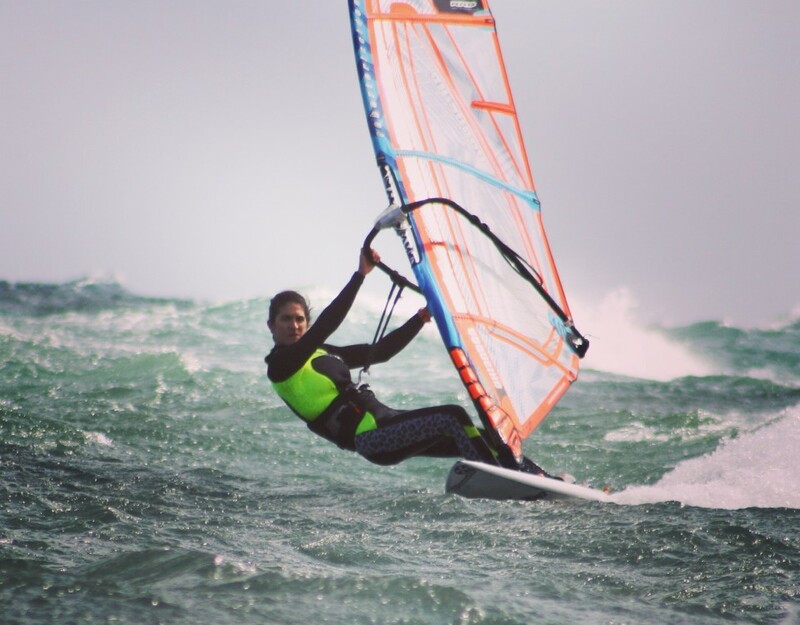 What happens when I get on the board, pick up the sail and try to do something – whatever that may be – and can’t manage it the first time round? Will I ever be able to do it? 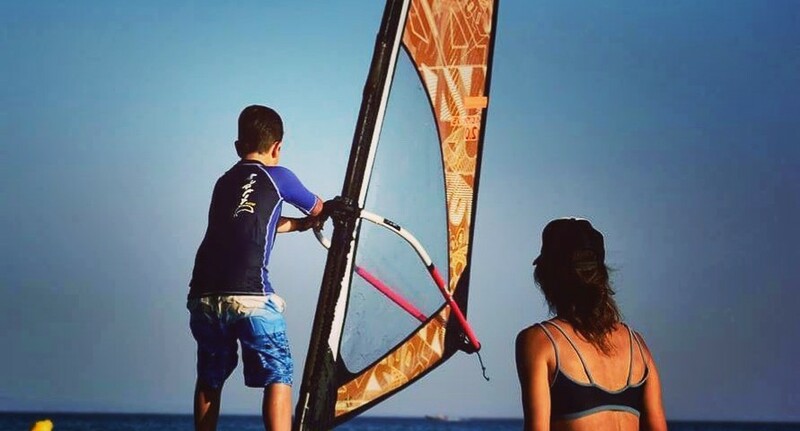 Many children try the sport of windsurfing every season, each with their own mindset, expectations, physical skills and motivation (intrinsic or extrinsic). 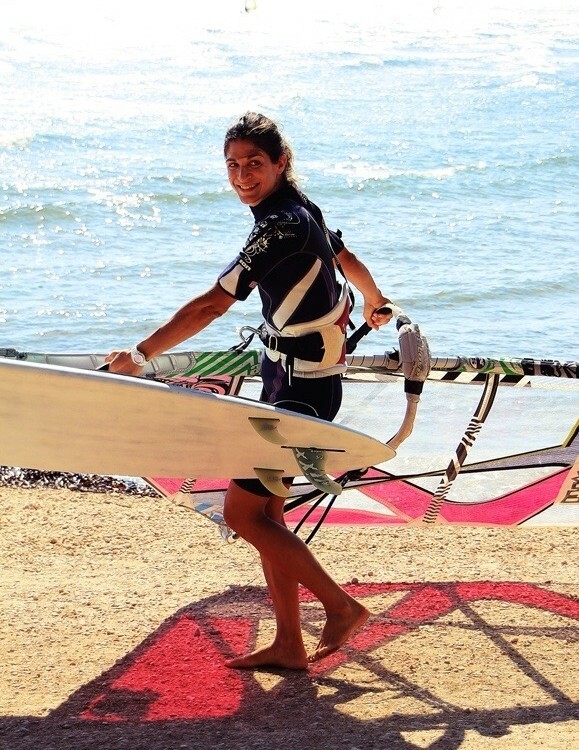 What makes for success in passing the first stage in windsurfing, which is learning to confidently sail out and back to the same place on the beach? Is it natural talent, is it good coaching, is it a matter of practice? Is it understanding the theory? All the above are needed and the importance of each parameter changes from one person to the next. Why? Because every person has their own beliefs and their own way of approaching failure. Yes, failure. 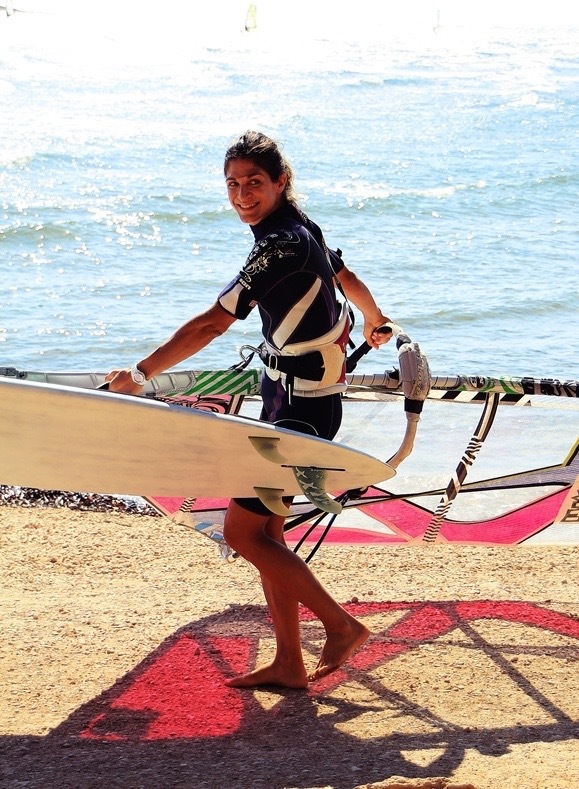 To learn windsurfing you need to fail. You need to fail a lot. You need to understand that failure isn’t the limit of your abilities, but an opportunity to grow. 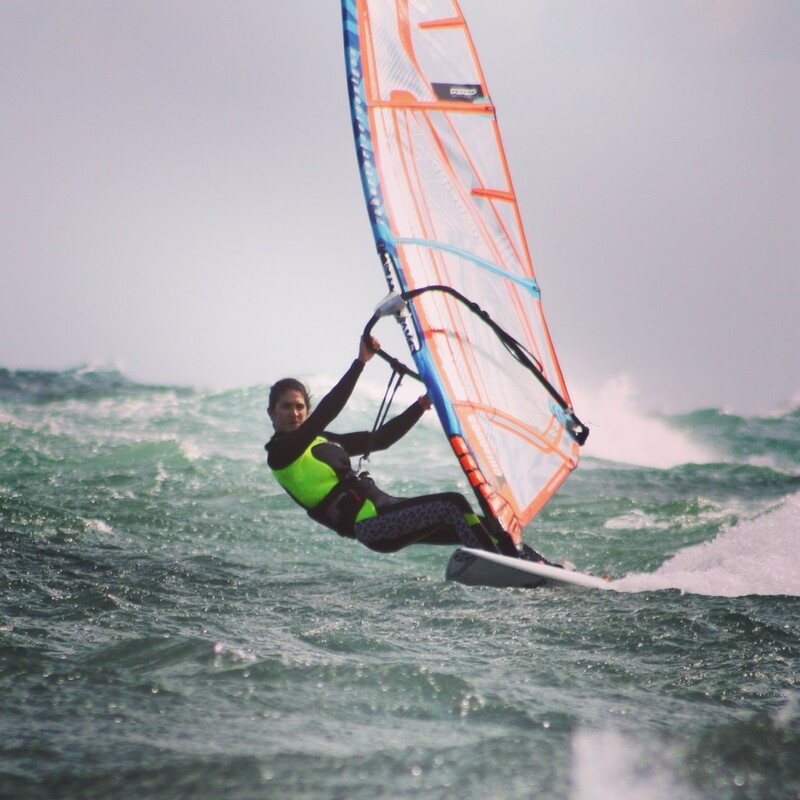 You don’t learn to windsurf just by understanding the theory. You learn by doing, and by falling over many times. You need to want it really bad. 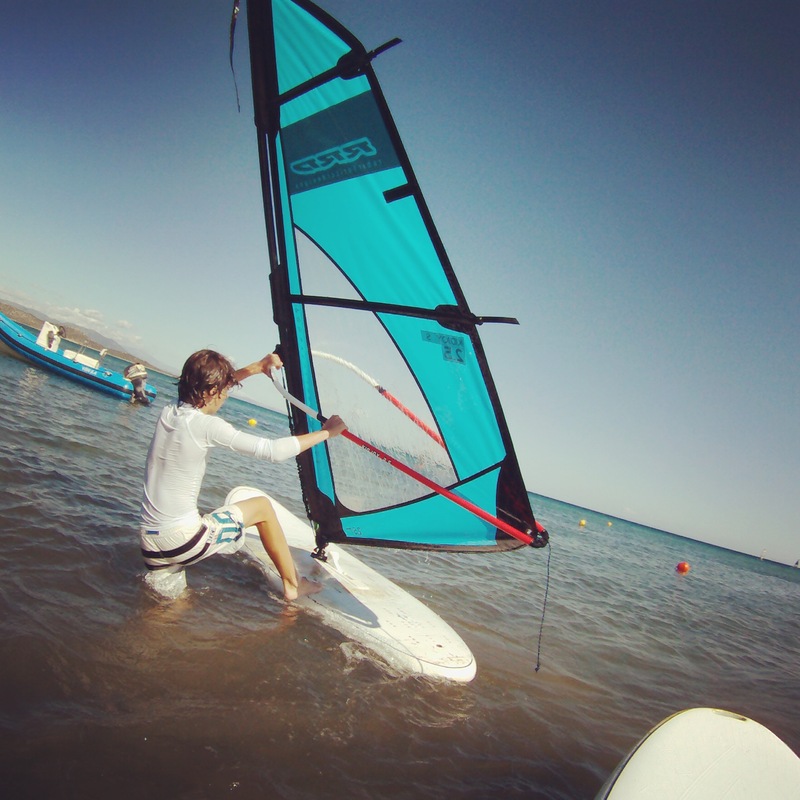 If you don’t want to learn how to windsurf, you will never do. Guidance. Children need a coach. A person they can trust, look up to and respect. Someone who can push them in the right direction when they need to be pushed over their comfort zone. Not physically, but mentally as well. When children get scared or frustrated, they give up. And most of the time they won’t even admit it. Someone needs to be there to support them on how to manage these feelings. Right conditions and kit. You can’t expect a little person to pick up a sail that is either too heavy or too big for the conditions and have fun with it. Also, not all children like to be challenged in winds over 14 knots. Imitation. Number one method of teaching for children is “show, copy”. This needs to be complemented with explaining things on the beach when the technique is too complicated for them to just watch and copy. This is where group dynamics comes to play. Having 2 or 3 kids of the same level on the water makes it easier for the team to progress than if each child was training alone. One will have better coordination, another will have better skills understanding where to place the sail in order to bear away, another will understand the courses to wind and will help me explain it in a more child-friendly way. Little people have their own slang As long as I can manage the team so that competition doesn’t hold anyone back from failing over and over again until they learn something, 2 or 3 together is always better than one. Make them believe they can do it. 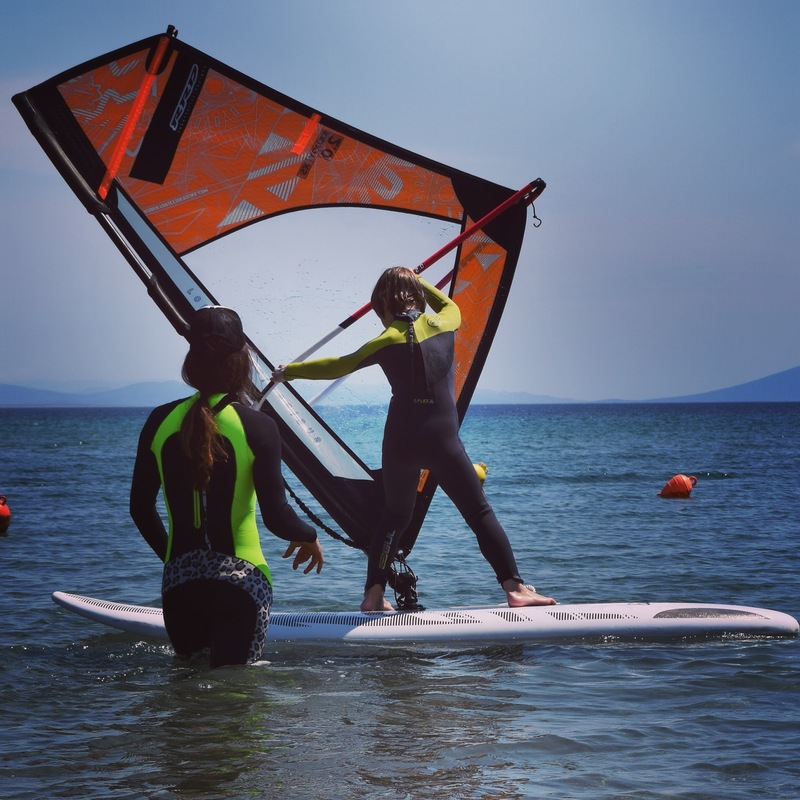 Everyone can learn windsurfing. But if you let any child approach the sport with the mentality that their abilities are unchanging and that they should “stick to what they know”, they will give up. Children need more support on the water than they do when they practice sports on land. Children are great to coach because they are honest about their fears and not scared of talking about how they view themselves based on their ability to succeed in something new. I am grateful for all those little people I met this season!